Welcome to another edition of Now Streaming, our regular round-up of new and upcoming animation available on Netflix. We're still trying out this new (more regular) format for the feature, so do let us know what you think! BLUE EXORCIST: Anime that follows an aspiring Exorcist who just happens to be the illegitimate son of the devil, as he enters the True Cross Academy. BLUE EXORCIST: THE MOVIE Feature length outing for the anime franchise. DAWN OF THE CROODS [Season 4 ]: New episodes for the spin-off from the DreamWorks Animation stone-age family saga. FULLMETAL ALCHEMIST: BROTHERHOOD 2009 redux of the hugely popular anime that follows brothers Ed and Alphonse as they train to become State Alchemists. FULLMETAL ALCHEMIST: SACRED STAR OF MILOS Feature-length sequel to the Brotherhood series. GHOST IN THE SHELL: ARISE First two episodes of Production IG's reboot of the classic Cyberpunk franchise from Masamune Shirow, which feature a younger version of The Major. Listed as Ghost Pain and Ghost Whispers. 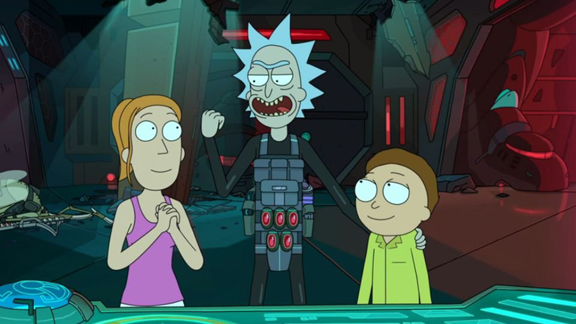 RICK AND MORTY [Season 3] The eagerly anticipated third season of Adult Swim's unique sci-fi comedy will be available via Netflix in the UK, with new episodes added weekly after they air in the US. 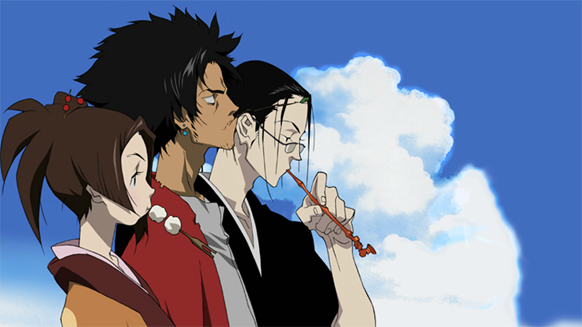 SAMURAI CHAMPLOO Hugely entertaining samurai action anime (with a hip-hop soundtrack) from Cowboy Bebop creator Shinichiro Watanabe. SWORD ART ONLINE: Popular anime about teens trapped in a virtual world with real-life consequences.